India and software development go together -- or at least many people think so. India has a longtime reputation for software development outsourcing with some great and some not so great results. Still, if you know what you’re doing, plan your outsourcing carefully, choose your development company with care and make the right investment in experienced project management, your software outsourcing to India can be a great experience. India is known all over the world for its hospitality and it's also one of the largest English speaking nations in the world, larger even than US & UK. Economists have predicted that Indian workforce will exceed 900 million by 2020, edging ahead of China as the largest workforce economy. Half the population is below the age of 25 and, if not already working, will soon be entering the workforce. So, is India really a good place to look for a custom software outsourcing vendor? The short answer is: Yes! India has deep pools of excellent programmers at rates much lower than domestic (US) rates. That’s why companies like Microsoft, Oracle, SAP and others have established major offshore operations in the subcontinent. Emerging Technologies: Primarily, the buzz is around AI (Artificial Intelligence), Machine Learning, Analytics, RPA (Robotics Process Automation) and conversational interfaces(chatbots). Mostly the financial institutions (banking, insurance etc) are taking a forward step towards embracing these emerging technologies. Talent Availability: India offers an abundance of world class institutions that ensure a surplus of high quality good talent. Communication: English is a widely spoken second language in India. The country also has strong ties to western business practices which brings a significant advantage to outsourcing development to India. Infrastructure: As one of the fastest developing nations, huge investments are being made towards infrastructure like Telecom, cellular networks, bandwidth, Hi-Tech parks and many more. All these investments is making doing business with and within India seamless. Political and Economic Stability: Another competitive factor in selecting India as an outsourcing provider, is the country’s political and economic stability. Training and Retention: India provides a mature hiring and ongoing training processes to ensure higher quality of talent pool. If you’re looking for the best company in India for your software development, you’ve got a big job ahead of you. A quick search of software outsourcing companies in India turns up millions upon millions of results. Even if it were only thousands, where do you start? With a wide variety of experience in PHP, Java, .NET, iOS, Android, HTML5, UI/UX India continues to be one of the key players in the global software outsourcing industry. Accelerance specializes in finding the best software companies for your project. We’ve done the due diligence so you don’t have to. We’ve been traveling the world investigating the best vendors for almost 20 years. Here’s a few helpful hints to get you started if you’re looking for an Indian software outsourcing company for your development. Software companies are big employers for many cities in India. Here are the major software development centers in India. Delhi has been the capital of India since the early 20th century and you’ll find plenty of software companies to choose from. Over time, however, many tech companies have left Delhi and headquartered in other Indian cities. Bangalore (traditional name Bengaluru) is sometimes called the “Silicon Valley of India”. Over 200 software companies call Bangalore home. The universities are really strong in technology, engineering and science. Most residents live above the poverty level. Chennai is located on the Bay of Bengal and is India’s 5th largest city. Half of India’s auto making revenue come from Chennai. This is why Chennai is known as the “Detroit of India”. But, Chennai isn’t just about cars. There are over 100 software development and information technology companies in Chennai. Hyderabad is one of the largest cities in the southern region of India. US companies like Facebook and HP, have operations in Hyderabad. India tech company giants Tata (Business Support Services and Advanced Technologies divisions) and Satyam Computer Services also call Hyderabad home. Mumbai is located on the western coast of India. It’s a port city with plenty of shipping traffic. The city of Mumbai over 12 million residents and if you add in the surrounding region, it’s the second most populous metropolitan area in India, with a population of 21.3 million as of 2016. If you’re seeking a software development job with a tech company in Mumbai - a simple web-search would return a list of over 200 companies. Pune and Mumbai are in the same region of India. Pune is sometimes overlooked because it’s so much smaller than Mumbai. But, sometimes smaller is better. Pune’s urban development has been more orderly than Mumbai. Pune has a solid reputation as an Indian location for software companies with US and India “dual shore” capabilities. Jaipur is known as the “pink city” because of the regular use of that color in buildings. Jaipur is located in northern India. It’s the10th largest city in India, with a population of about 3.1 million. Jaipur boasts a number of software companies, especially mobile app developers. If you partner with an India software company, time zone differences can be an issue. India is 10 hours (or more) different than US time zones. In a recent survey, one-third of US companies that outsourced to India felt time difference to be a big challenge. With DevOps or Agile development methods, you will collaborate often with your India business partner. Collaboration can’t be stalled because of time zone issues. The best software companies in India have a business model to support US-time zones. The preferred companies ensure their “A team” is available during US business hours. This allows them to interact with your team. The right India software partner for your company needs technical skills that match your needs. Make sure they have a strong pool of programming talent who know programming languages and tools you’ll be using. Look for current technical certifications. Look for project experience in your business vertical (financial services, manufacturing, etc.). Look for experience in software projects that address the same business functions as your project needs. When you look for a software development vendor in India, you’re going to find some huge companies with thousands of programmers. Beware of the not-so-obvious mismatch with a software company so large that your needs aren’t “big enough to matter”. On the other end of the scale, you’ll find software vendors with insufficient bench strength to cover your needs. Accelerance recommends that your engagement value be between 5% and and 20% of your partner’s total revenue. Because India has so many software developers, your might be eager to get started with your software and forget to consider cultural differences. From our experience, here are some cultural “gotchas” to watch out for. Too many project managers. Career advancement is very important in the India culture. Some outsourcing companies have too many layers of management. That could mean slow decision making. It definitely means unnecessary costs to you. Junior Developers. India outsourcing always meant cheap contractor rates. While that still stands true - salaries have exploded for programmers in India as they grow in experience. To keep your programming rates low, you might get assigned a team with inadequate skills for your needs. Passivity. Well, it's not that they're passive exactly, but it might feel that way to an American or Western client. The Indian culture is very sensitive to hierarchy in their groups. This means, they tend to defer to their American client. For instance, when you have a group call with the India outsourcing team, the junior members will always be silent, and let management speak. If you’re trying to gather feedback (“what could we be doing differently”) it’s not natural for the India team to offer ideas that contradict your own. In our experience, companies outsourcing software to India are more successful when they use a domestic onshore project manager. Over our years in the industry, we’ve seen companies succeed with outsourcing - and, unfortunately, we’ve seen companies struggle. That’s why we’ve made it our mission to help your company reduce risk and protect your investment with coaching services that steer your team away from risk and toward best practices that drive software outsourcing success. You want maximum value for your investment in software development outsourcing. Accelerance knows that there are three critical aspects you must have to make outsourcing successful. Prepare your company for outsourcing. Hire the right outsourcing partner. Execute the relationship in a successful manner. Accelerance Coach is the only service of its kind in the industry that helps you ensure that your outsourcing fully succeeds. All business goals are met. Highest possible value is achieved from your outsourcing investment. 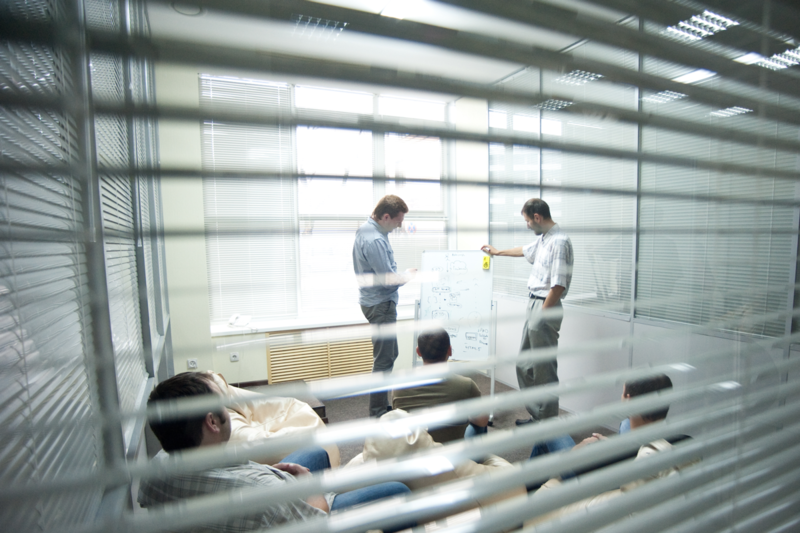 With our Coach services, we help you plan for your software outsourcing engagement. We help match you with the best-fit partner for your needs and your company. We can walk with you through the entire engagement - from kickoff to closure. Ask about Accelerance Coach services. When you’re looking for the best Indian software companies, it’s not a one-size-fits-all answer. A team that works great for one company’s project might be terrible with yours. To pick the right vendor, you’ll need to ask the right questions. Accelerance, a US-based consulting firm, helps technology leaders create effective strategies for global software outsourcing through better planning, better partner selection and better ongoing management. Unlike do-it-yourself outsourcing which can be hit-or-miss, Accelerance delivers a proven methodology for outsourcing that identifies and manages risk and optimizes results so that clients gain all the benefits of high performance global partnerships. Investigating software companies around the world is what we do. The Accelerance research team has investigated the very best companies in India and we’ve identified top vendors in India that meet over 200 outsourcing readiness criteria. We’ve done the due diligence, so you can sit back and relax. 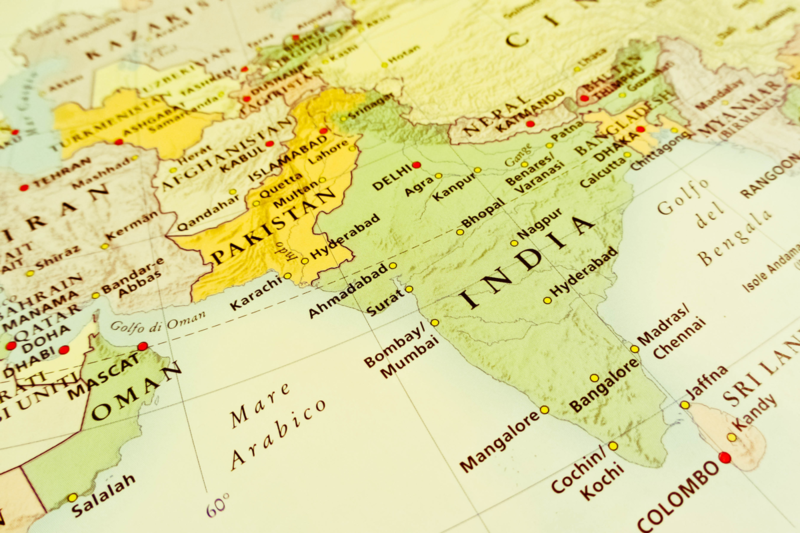 Want to know what we’ve learned about our travels to India and our on-site investigations? Contact us and we’re happy to share. An Accelerance advisor is happy to guide you to the perfect offshore development team proven to deliver.